The Israeli- Palestinian ethnic conflict will continue to escalate throughout both the short term and long term world future. 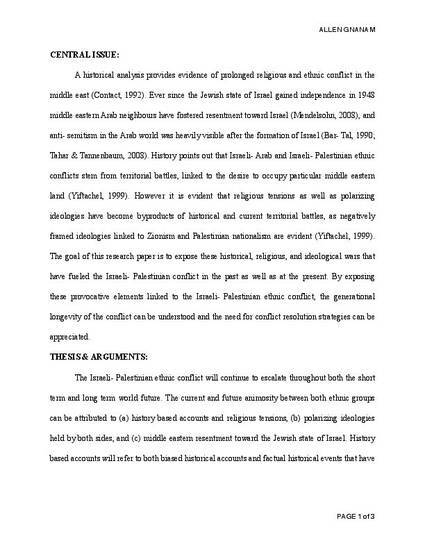 The current and future animosity between both ethnic groups can be attributed to (a) history based accounts and religious tensions, (b) polarizing ideologies held by both sides, and (c) middle eastern resentment toward the Jewish state of Israel. History based accounts will refer to both biased historical accounts and factual historical events that have contributed to the Israeli- Palestinian ethnic conflict.  Concepts such as ethnicity, nationalism, ideology, Palestinians, Israeli’s, Arabs, and religion will be conceptualized in the research paper.